It looks like Olympus’ strategy of pricing the Olympus OM-D E-M1 Mark II above the competition helped the Imaging Business become profitable during the three month period ending Jun 30th, 2017 compared with the previous period. This is certainly one way to balance the books, but I hope Olympus tries to increase their overall share of the mirrorless market going forward. 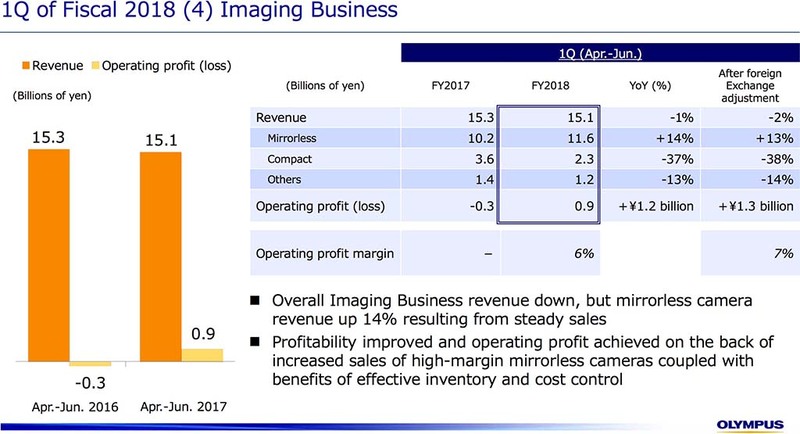 Their mirrorless division was profitable, while the overall imaging division was not. You can read all the financials here if you want to dig into their projections and analysis.